The pathetic conditions of farmers across the country is not hidden from anyone, still, they are not getting any aid from the government itself in getting a decent price for their crops and produce. And now in Maharashtra, a farmer from Ahmednagar district has sent a money order of Rs.6 to CM Devendra Fadnavis, in a manner of protesting against the hugely dropped onion prices and paltry returns. The farmer Shreyas Abhale could earn only Rs.6, after selling 2,567 kg of onions at the rate of Rs.1 per kg and after adjusting market expenses. charges and transportation charges at Rs 2,910, I was left with just Rs six,” Abhale told PTI. He also told that he was disappointed and decided to send that amount (Rs.6) to the CM to draw his attention to the situation of onion prices and how the farmers are suffering in the district. He had sent the money order to the Chief Minister on December 7, after he sold his produce. 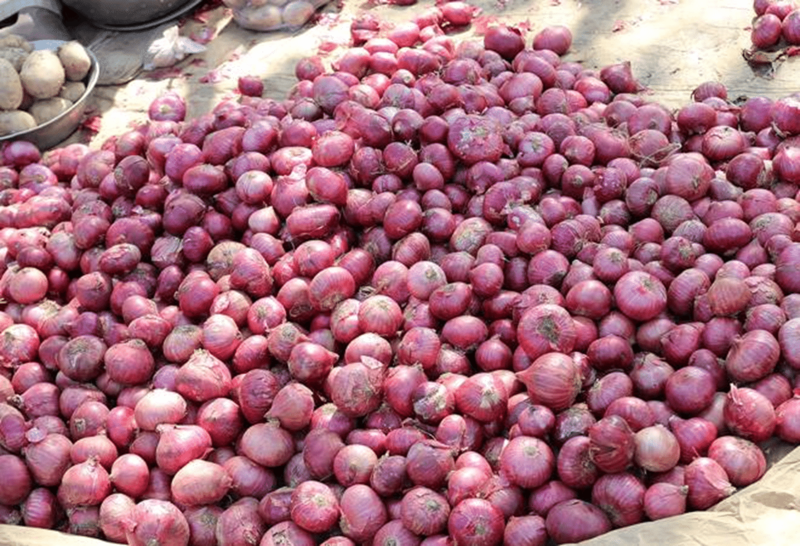 Farmers from Ahmednagar district, who grow onions, have been affected heavily by excessive production. Before Sheyas Abhale, another farmer, Sanjay Sathe, had sent the amount of Rs.1,064 (which he earned from selling 750 kg onions to the Disaster Relief Fund of the PMO), to PM Narendra Modi, by money order. Sathe is from Niphad taluka in Nashik district and he also did the same to mark his protest. Two onion farmers from Nashik district have committed suicide in the last two days, due to indebtedness and very low rates in the markets. A farmer from Puntagaon village brought the onions to a weekly Sunday market, along with a flex board. “I am deeply hurt because of this government’s policies and a little concern it has towards our plight. In the last four years, we hardly got better rates for our produce,” the farmer, Popatraon Wakchowre, said. Fadnavis for keeping the prices so low. donation to clear my dues. I cannot repay just by selling my produce,” he said.